Your marketing strategy relies on your ability to utilize persuasive communication. Marketing is designed to expand your audience and move it toward a goal….something you can’t do without deliberately-honed communication. Persuasive communication is not meant to be manipulative; rather it’s to be effective. Your communication should quickly help people determine if your particular offer, brand, or product is for them. By communicating persuasively, you’re able to catch people’s attention, cut through the clutter, and better develop meaningful relationships. In fact, the best marketing strategy on the planet can fall flat on its face if it doesn’t communicate and convey your messaging effectively. Whether writing an email series, postcards, interacting on social media, or speaking in person, these 6 persuasive communication marketing techniques come into play. In other words, your marketing strategy can always use a little boost from Communication and Psychology 101 classes. Personally, I routinely run my marketing communication through 6 tips and ensure I’m utilizing them. It’s easy to overlook, miss, or just plain forget to include these critical ingredients, so make it a point to use conscious effort to improve how persuasive your communication and therefore marketing strategy is. A marketing engine may encompass things such as a website, mailings, an autoresponder, lead magnets, content, and media. And hopefully that engine has a destination…a goal it will take people to. But what is the fuel that takes that engine and gets it where it needs to go? Effective, persuasive communication. Without persuasive communication, your marketing can fall on deaf ears and simply become noise. Dr Robert Cialdini put together probably the best framework on this topic in his book “Influence: The Psychology of Persuasion.” It’s time tested, but let’s have a look at some of these key principles in a modern-day context. Give to get. People love to help those who have helped them. If your business provides to people, expect people to provide back to you. This can be as simple as using a lead magnet in exchange for contact information. But the more value you give, the more you can typically expect in return. That case study is a perfect example of how cost-effective reciprocity works. What value can you provide your customers? What do you stand for? I love this one–it’s about providing a concise vision to your customers to make it clear exactly what your mission is. Everything you do becomes consistent with this commitment. Customers know what to expect and can more easily decide if your business is for them. Remind people of your commitment regularly. How does it improve the lives of people who buy it? Said another way, what problem does it solve for people? Ready to put your marketing chops to the ultimate test? Start your own business! 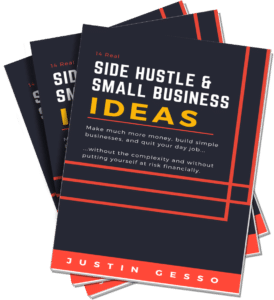 Get my free PDF and Email Course 13 Real Small Business Ideas for Side-Hustle or Full-Time Entrepreneurs. Am I alone in choosing your business? Groupthink, assurance, and security all come into play with human behavior. We are tribal at our core and look to peers before making a decision. 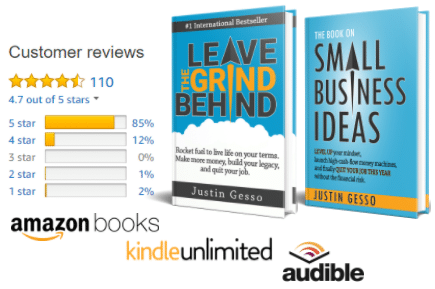 This is why Amazon’s user reviews are so powerful. Make sure you’re actively gathering customer feedback. If you’re not, run betas, sell before you’re ready, and interact with your customers at every step of the way. People will become more engaged and invested in your venture, and you’ll also gain highly valuable social proof. Make sure to share it in the form of expert proof, end-user reviews, testimonials, and case studies. Check out How to Use the Psychology of Social Proof to Your Advantage on FastCompany for more. People want their information from trusted sources, not just anyone. This has become ever more important in recent years, as the barriers to create a business and publish content have dropped. As you think about why you’re the right person or company to deliver your offer, focus on numbers-based results and respected credentials. Be sure your customers are aware of these. If you want to build your personal brand and authority, nothing quite does it like a book. If you’re interested in this, check out this great case study from Epic Launch. Also, check out my post on How to Write a Book and Make Money. We all want to connect on a personal level, something easy to forget as you build a business! People need to personally connect and want to do business with people they like. This is why I focus so heavily on networking to build your business. Make sure you actually like people in your network, showing interest and appreciation. And make sure you share personal information about yourself so that people can build a relationship with you, not just your business. When your customers see a bit of themselves in you, amazing things can happen. Let me say it again, we are tribe-oriented beings. But we don’t want to be part of any tribe. We want to be part of exclusive, unique tribes. People want to be part of a small group that received a special deal. They want to be one of the few helping refine your next product. They even want to pay way more than everyone else to be included in a truly exclusive group. So your offers need to include limited-time, limited-quantity, and premium events. As long as you are genuine in your scarcity and not abusing this concept, you’ll unlock different types of customers like never before. This “Scarcity Marketing” post at eConsultancy does a great job of discussing advantages while also highlighting pitfalls and how to use this concept responsibly. To have an effective marketing machine, consistently check your language and practices against these principles of influence. This applies to social media, email, phone, and in-person communication. Constantly inspect, test, and revise your communications to better connect with your potential customers and convert more leads into buyers. Good marketing and good communication!